Free Agency 2014: Should Bears Re-sign Charles Tillman? Welcome to Free Agency 2014, a series of articles designed to discuss which players the Chicago Bears should attempt to keep in the fold for next season, and which players they should bid adieu to as they attempt to work through a tough salary cap situation. Today’s player is cornerback Charles Tillman. When Brian Urlacher retired from the Bears before the 2013 season, there were some questions about which player would be the new face of the organization. Some argued for Jay Cutler, while others argued that guys like Lance Briggs or Brandon Marshall should be given the nod. While that argument can never be settled, one guy who has as strong a case as anyone is cornerback Charles Tillman. The cornerback has been part of the core of the team’s defense for years now, and going into 2013, that was set to continue. Unfortunately for Tillman and the Bears, he ended up tearing a triceps muscle, and he was sidelined for a majority of the season. 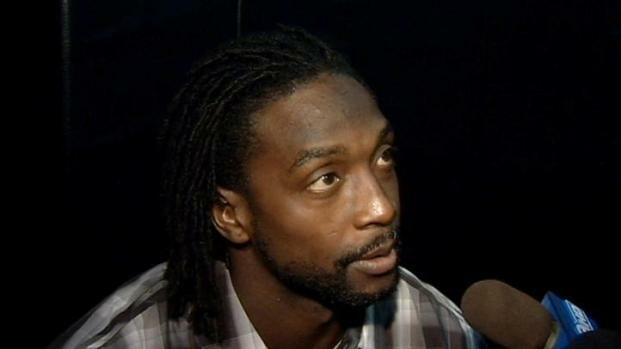 Bears Cornerback Charles Tillman makes the holidays brighter for seriously ill children. Now, there are plenty of questions about whether the cash-strapped Bears can afford to bring Tillman back. After all, his salary cap hit of $8 million was large in 2013 and caused the Bears to cut costs in other areas, and the likelihood is that even if he can’t get that much money in 2014 as a free agent, he could get close to that, and the Bears may not be able to afford that. Complicating matters further is that the Bears have already committed a good chunk of their financial resources next season to other members of the team’s defense. Julius Peppers is due to make $18.8 million against the cap next season, and even if he is cut by the club, there are still other players who are making a good chunk of change, including newly re-signed cornerback Tim Jennings. As a final bit of difficulty in the process, the Bears also have to bring in several new cornerbacks if they let Tillman go. There’s no word on whether or not they will retain Zack Bowman next season, and even with Isaiah Frey still in the fold, there is still a gaping hole in their cornerback corps if they don’t keep Tillman on the roster next season. Tackling the problem of financial illiteracy among local students, Chicago Bears' Running Back Matt Forte and Corner Back Charles Tillman, U.S. Rep. Judy Biggert, and Visa Inc. on Monday showcased an effort to improve the money management skills of high school students. In the end, fans who are hoping that Tillman will take some sort of incentive-laden contract are probably deluding themselves. There are several teams who could potentially be good landing spots for the cornerback if the Bears don’t bring him back, including the friendly Tampa-2 system that Lovie Smith will likely be installing with the Buccaneers next season. With that in mind, the Bears should still try to re-sign Tillman. A two-year contract could be their best course of action, with a signing bonus pro-rated across the two years to lessen the overall cap hit of the deal. A two-year contract would also have the benefit of being able to be restructured next season if the Bears want to keep Tillman around, which would stretch out the cap hit even more and make him a more affordable option. 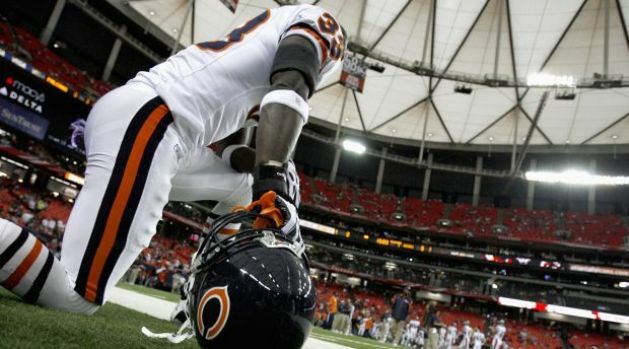 Tillman has said in the press that he wants to retire as a Bear, and a two-year contract could be a good way to do that. If the asking price gets much higher than $5 million or so a season, then the Bears could be priced out, but if Tillman is willing to play ball and take a signing bonus to help ease the cap burden, then keeping him is certainly an attractive option at this point.